Old Jail Tours at the historic Delaware County Sheriff’s Residence and Jail. Guided tours of our iconic historic jail facility that housed prisoners from 1878 to 1988. Entering the front door on the south side of the building, you will pass through the Law Library, Computer Room and the Librarian’s office. Your guide will explain the significance of a combined fine home and jail; and of the prison reform movement as we assemble in the computer room. Each Tour group will enter The Cellblock and have time to experience the Jail and Cell environment. After the tour of the cellblock, the group exits by the east door. 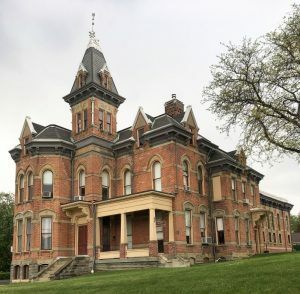 The architectural style of the Delaware County Sheriff’s Residence and Jail is primarily Italianate, with some Gothic Revival and Second Empire details. 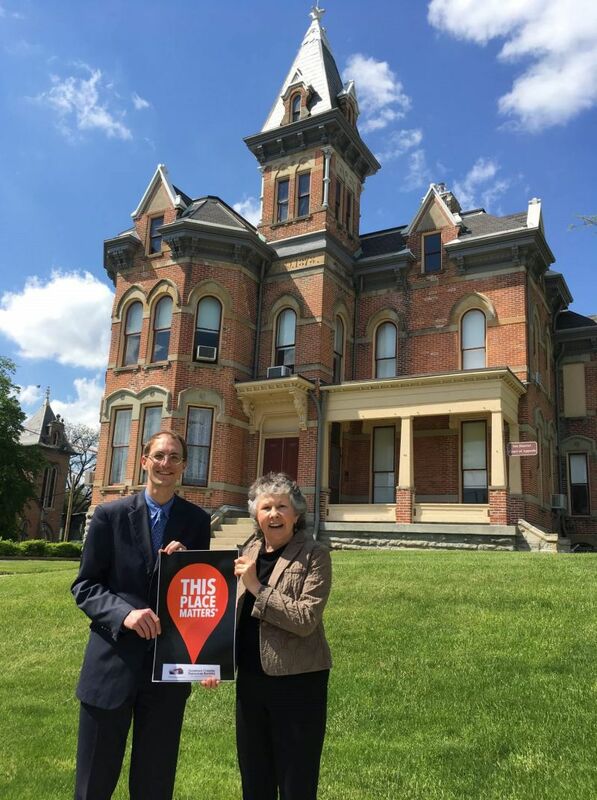 The Delaware County Historical Society(DCHS) has as part of it’s mission to educate about and promote preservation of historic properties that embody our history. This year we have sponsored “This Place Matters” program to recognize historic places. DCHS has been conducting tours of the this building since 2006, including tours co-sponsored by the Northwest Neighborhood Association. This could be your last chance to see this historic architectural treasure. but a suggested donation of $5 per person will be gratefully accepted at the door. Jan Fleischmann and Dave Hejmanowski are DCHS volunteers who have a particular interest in the Old Delaware Jail. For more than 12 years they have researched the Old Jail and worked to encourage preservation of the historic building in many ways, including conducting tours for the public. 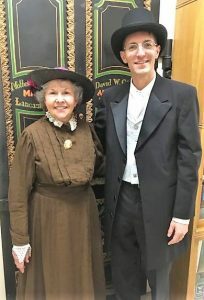 Jan is a longtime volunteer and trustee of the Delaware County Historical Society. Dave is the Judge of the Probate/Juvenile Division of the Delaware County Court of Common Pleas. This building contains stairs which people with mobility issues may find limiting.